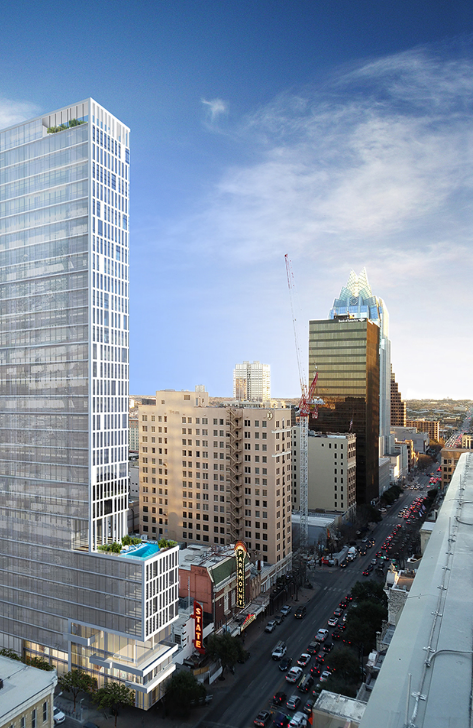 Austin, Texas is consistently ranked as the fastest growing city in the United States, and now developer Congress Development Partners Ltd. wants to build a car-free micro-unit residence downtown. The proposed mixed-use 30-story tower, dubbed “The Avenue” and designed by Nelson Partners, includes 135 residences, 25,000 square feet of office space, a theater, a restaurant, and a bar on the ground floor. But it will not have onsite parking or a parking garage. 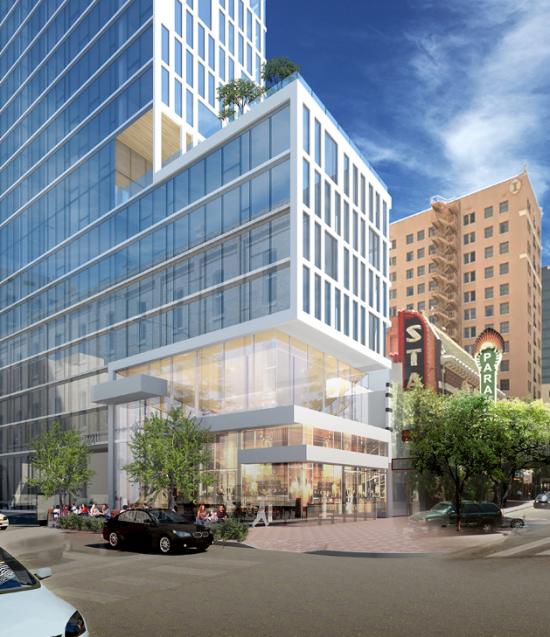 Following in part on the heels of on-demand and car sharing services like Uber and Car2Go, the Austin Planning and Zoning Department no longer requires parking for downtown projects. Austin is a top magnet for millennials, so it comes as no surprise that the city and developers are looking to cater to the generation that drives less. 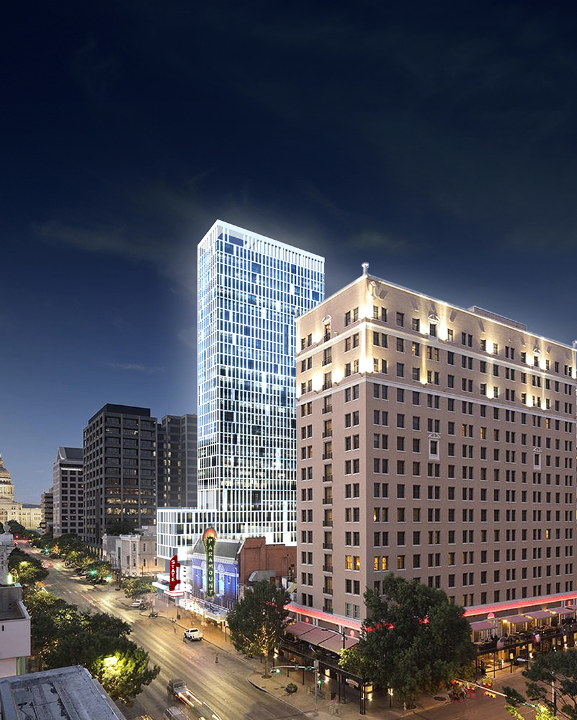 The building is slated for 721 Congress, at the southeast corner of Eighth Street and Congress Avenue, about a six minute walk south from the Texas Capitol. It is also next to the Paramount Theater and close to the annual South by Southwest music, film, and interactive media festival staged a few blocks south along Sixth Street. Today 721 Congress (a .15 acre site) holds a vacant one-story structure. “There are a lot of people living downtown now that don’t have a car. The downtown workforce is getting younger, and the younger generation is moving away from having to have a car. There is a (bike rental) facility adjacent to this site, and it will probably expand,” said Richard Suttle Jr., the developer’s city review attorney. The project is expected to break ground by May 2017 and open by spring 2019. The developer is currently seeking funding. The project could cost up to $60 million.